India will send a draft to Pakistan for finalisation of an agreement for opening of the Kartarpur Sahib corridor, which will facilitate easy passage to Sikh pilgrims to the historic Gurdwara Darbar Sahib in Pakistan, officials said. This was decided at a high-level meeting, convened to discuss how to fast-track the implementation of the Kartarpur corridor project. “India will send within a month the draft of the agreement to be signed with Pakistan for the Kartarpur corridor. We hope the modalities will be completed soon,” Punajb Chief Secretary Karan Avtar Singh told reporters after the hour-long meeting. India has already communicated to Pakistan the coordinates of Zero Point for the opening of the Kartarpur corridor, a home ministry official said. The meeting discussed land acquisition for the highway and for the Integrated Check Post (ICP). At the meeting, it was informed that the preliminary notification for land acquisition for highway has already been issued and the notification to acquire land for ICP will be issued on Wednesday. The Punjab government has assured that the land will be made available for both the projects by mid-March, the official said. Meanwhile, the possession of the land to commence preliminary work will be made available to the National Highway Authority of India (NHAI) and Land Ports Authority of India (LPAI). According to the official, a detailed plan of ICP is expected to be finalised within the next few days. The Punjab Chief Secretary said the process of land acquisition is on the second stage. On November 26 last year, Vice President Venkaiah Naidu laid the foundation stone of the Dera Baba Nanak – Kartarpur Sahib Corridor (up to the International Border) at an event at Mann village of Gurdaspur district of Punjab. 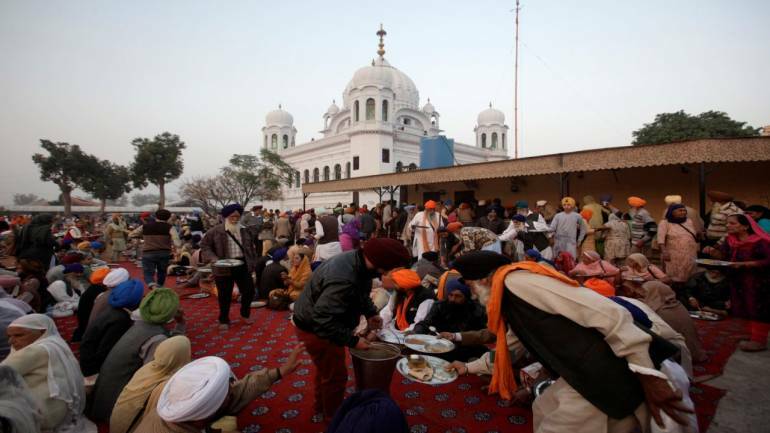 On November 28, Pakistan Prime Minister Imran Khan laid the foundation stone for the 4-km corridor which is expected to be completed by 2019.The much-awaited corridor will connect Darbar Sahib in Pakistan’s Kartarpur – the final resting place of Sikh faith’s founder Guru Nanak Dev – with Dera Baba Nanak shrine in India’s Gurdaspur district and facilitate visa-free movement of Indian Sikh pilgrims, who will have to just obtain a permit to visit Kartarpur Sahib, which was established in 1522 by Guru Nanak Dev.